The closest to a summary I can come to is this: We plan to do what we do now, but we’ll try to do it a little bit better. That’s probably not what was intended. ….For such an important effort, the report disappoints in two key areas. 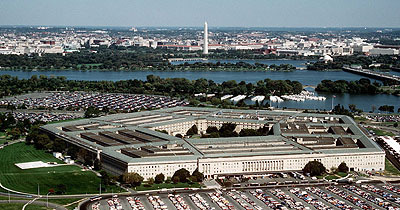 The first is that of vision….President Obama has made a forward-looking, positive vision of America’s role in the world a centerpiece of his policy goals, and the Pentagon could have used the review to expand on that vision as it pertains to national security. Instead, the 2010 review offers more a series of agenda items than a comprehensive vision. Even more, most of these items are belated ones that should have been worked out since the 2006 version. There is no thread that links it all together, no broader framework that lays out the journey we are on, the challenges we face and, most important, what we must do to end up at our target destination. I understand the issue here, as well as Singer’s second disappointment, the overall lack of clear goals and hard metrics. But honestly, I wonder if that’s really as big a problem as he suggests. It’s natural to think of these kinds of documents as a chance to change direction and create new visions, but let’s be honest: do we really need a whole new vision of America’s national security every four years? In 1997 the QDR’s vision included the ability to fight two medium-sized wars at once, and now, 12 years later, that vision is gone. But during that time, did it really drive the Pentagon in any directions it wouldn’t have gone anyway? And will its loss really make any concrete difference? I have my doubts. Sometimes, your plan really is to keep doing pretty much the same thing, but to do it smarter and better. Maybe a QDR that avoids grand pronouncements and hard metrics that no one really takes seriously isn’t such a bad thing. Sometimes honesty is a better policy.